After staying in Baguio for a few days, we decided to take a road trip—to Atok Benguet! It’s a long way up there from Baguio but the drive is all worth it since the view is simply breathtaking. If you love mountains, you will surely enjoy driving here. 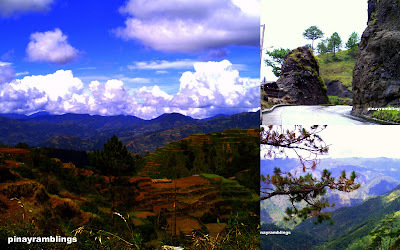 We were surrounded by beautiful mountain range—Cordillera mountain range to be specific. It is surely a mountain paradise up here. This place is home to the Igorot tribe. Igorots view land as a source of life. It is also a very important part of their cultural identity. Their ancestors have turned this mountain region into a work of art 2,000 years ago. Till now, the Igorots strive to maintain what their ancestors have started. The amazing rice terraces are preserved but declared a world heritage in danger. If you are in Baguio, don’t pass up the chance to see the beauty of this place. You can either drive or take a bus up here. Go to Dangwa Terminal and take a bus to Atok. Foreign tourists who would like to explore the Cordilleras can have a Travel agency in Manila arrange a guided trip for them. Thanks :) That place is really nice.